Allie Kieffer came out of nowhere to finish fifth in the 2017 New York City Marathon, giving rise to a question that can be answered only on Nov. 4: Can she do it again? An excerpt from this story appears in ESPN The Magazine's NBA Preview Issue. Subscribe today! The world's best marathon runners think of improvements in terms of seconds. They've spent so many years living on the clock that they know within a few ticks how they'll perform before they toe the line. On Nov. 5, 2017, the morning of the New York City Marathon, Allie Kieffer was not considered one of the world's best marathoners -- or much of a marathoner at all. She was a recently retired 30-year-old nanny with a running hobby, a flamed-out collegiate middle-distance racer who drove a high-mileage Volkswagen and trained in freezing Buffalo. Kieffer had suffered through an injury-plagued career and never made a world championship team or endorsed a shoe. She had done only one other outdoor marathon in her life, the year before in Miami, and she'd entered that event the night before the race. She won, finishing in 2:55:30. She could run. She was good. But if she posted that same time at the cutthroat New York City Marathon, she would be lucky to finish in the top 40. On that cool November morning in New York, Kieffer didn't know what to expect. As she hitched up her black knee-high socks and laced her flame-orange shoes, she didn't even have a coach. Running for Kieffer had always been fraught. It was the thing she was best at, but it was also the thing that made her feel worse about herself. At a compact 5-foot-4 and 126 pounds, Kieffer is exceptionally fit but does not have the typical elite runner's body type, with fully articulated rib bones hovering above individually chiseled abdominal muscles. In every race, Kieffer lined up against women who weighed 20 to 30 pounds less than she did and tried to prove to everyone -- including herself -- that she belonged. So it was in New York. With her long brown hair swept into a tight topknot and a sapphire stud twinkling in her nose, Kieffer spent the 2017 marathon's first mile in the lead pack alongside talent from all over the world: Diane Nukuri (a naturalized U.S. citizen who'd made her first Olympics for Burundi at age 15), Kenyan national team runner Betsy Saina, Italian triathlete Sara Dossena and a Czech wonder named Eva Vrabcova-Nyvltova, who was in such good shape that she'd made three Winter Olympics as a cross-country skier and had qualified for the 2016 Rio Summer Games in the marathon. Their pace leaving Staten Island was a 6:47 mile, plummeting to a 5:54 split time by mile 2 -- quicker than Kieffer would have preferred. So she let the pack go and for the next 10 miles ran the race virtually alone, faster than the other amateurs behind her but not quite fast enough to hang with the pros. Near the halfway mark, in Brooklyn, Kieffer had accelerated, speeding up mile after mile -- a strategy runners call "negative splitting." Professional marathoners sometimes negative-split in the latter stages of a race. They rarely do it in the early or middle stretches. But Kieffer wasn't a professional marathoner. She really didn't know what she was capable of, and neither did anyone else. As she hit the latticework Queensboro Bridge, which climbs over the East River from Queens into Manhattan at the 15-mile mark, Kieffer began to catch the women ahead of her. Runners call this "rolling people up," as if in a carpet. "I remember thinking: 'Send a message,'" Kieffer says. "'You're not going backward in this race. You're only going forward.'" Kieffer blew past Nukuri, ultimately pounding her by nearly two minutes. She then rolled up American elite Kellyn Taylor, who would go on to finish eighth. She also was gaining on Saina, who dropped out of the race at the 22-mile mark. "I was like, 'No!" Kieffer says. "I wanted to beat you.'" As the race wound its way toward the finish in Central Park, Kieffer was still finding seconds. She dropped to a 5:30 mile. Then, after a 5:39 and a 5:42 mile, she managed a 5:22. By the time she hit the homestretch, she was averaging 5:05 and rolling up Vrabcova-Nyvltova, who appeared to be stuck on a conveyor belt traveling in reverse. With less than 10 meters left in the race, Kieffer passed Dossena and sprinted through the finish line in 2:29:39. She had finished fifth out of 21,091 women finishers and had dropped nearly 26 minutes off her previous best time. Kieffer's previous career highlight had been qualifying for the 2012 Olympic trials in the 10,000 meters, only to withdraw due to a stress reaction in her right shin that she attributed to malnutrition from dieting. Now she had suddenly become the second-fastest American woman in the New York City Marathon. "She wasn't really on the radar," says Shalane Flanagan, the veteran American who won it all, ending a four-decade drought for American women. "But she'd been quietly creating her masterpiece without anybody knowing it." From this point forward, life would be different for Allie Kieffer. She didn't wonder what to do next. She knew. She'd postpone getting a job and starting a family and enjoying the other trappings of civilian life. She'd take one more shot at top-level competition, trying to finally conquer an unforgiving sport that triggered in her a profound existential anxiety. She'd live in hard-core training mode, suffering through endless excruciating workouts, for a chance to go even faster. "The pain, the work, all makes me feel like I have purpose and I'm driving toward something," she says. "I like that feeling a lot." Maybe just because she didn't look like a marathoner didn't mean she wasn't one. Maybe her career wasn't a disappointment but a made-for-TV comeback story. Maybe elite marathoning was her new reality. Or maybe New York was a fluke. There is no playbook for overnight stardom in international athletics because such a phenomenon almost never occurs. After the marathon, Kieffer had no real infrastructure -- no agent, no manager -- to advise her on next steps. She did know that a large number of outstanding runners came from Kenya (including two of the four who had beaten her in New York). Maybe if she went there, she could run like them. The notion was a little insane -- like showing up in Hollywood hoping to become Meryl Streep -- but after years of self-doubt, she finally had the irrational confidence that every great athlete needs. So she booked a ticket to Iten, the remote Kenyan town where Africa's finest train in monastic seclusion nearly 8,000 feet above sea level. She announced her January arrival with an Instagram shot of herself entering the Iten city limits under a red steel archway bearing the greeting "Welcome to Iten Home of Champions." "I want to become a champion," she wrote. "And the best way to do that is to train with the champions." Since her breakthrough, Kieffer has used her platform to promote body positivity. Kieffer arrived in Kenya with no friends and no place to stay. She decided to call on Saina, who she remembered had shown her a small kindness back in New York, explaining before the race how the water-bottle stations worked. "I didn't know exactly who she was, to be honest with you," Saina says. "I didn't even bother to ask." Now Kieffer asked for another favor: a place to live. Amused by her chutzpah, Saina arranged for her to rent a one-bedroom apartment a few doors down from her own, in a $75-a-month cinder block unit without air conditioning, toilet, television set, consistent electricity or potable water. Kieffer leaped at it. "You can't be first-world in a third-world country," she says. Running was the only reason anyone came to the dusty little town of approximately 4,000, where the local restaurant is called Champions Inn, the boda-boda repair shop is Marathoner Motorbike Spares and the meat vendor is Victorious Butchery. The few hotels cater to masochistic tourists on a cardio pilgrimage; a sign along the main road beckons visitors to a guesthouse with a motto: Live -- Train -- Rest. "The best runners in the world all seem to be living here," Kieffer said at the time. "There must be something to it. It's the lifestyle, is what I've concluded. I don't think it's replicable in the first world." Running in Iten is so ingrained in everyday life that it begins less as a fitness pursuit than as a mode of transportation. Children commonly cover 12 1/2 miles a day back and forth to school on foot. In international competition, Kenyan marathoners have become -- like Jamaican sprinters and Chinese divers -- dominant to the point of inevitability. The Kenyan women have medaled in each of the past five Olympics. The men have medaled in five of the past six. The Kenyans have earned their share of suspicion and resentment along the way, with dozens of doping-related suspensions in the past several years, but they've also garnered the respect of athletes everywhere who understand how difficult it is to train in extreme austerity at an altitude 50 percent higher than that of Denver. To move faster than a light jog in this oxygen-starved air is to feel chains around your lungs. When I asked Kieffer one night what she'd learned being in Kenya, she said, "how to hurt." Kieffer grew up on Long Island and, by her own admission, was never the smartest or artsiest or most popular child. She was a jock, running by age 5, and unusually strong-willed. "In fourth grade, they asked what we wanted to be when we grew up," she says. "And in the yearbook I put, 'I want to be a professional runner.' All the other girls wanted to be models." In high school, she made mediocre grades and dressed in black. "I never really felt like I belonged," she says, "except for when I ran." She was fast for a local kid, though her career had a nagging always-a-bridesmaid quality to it: "One year I got second at county, second at state, second at nationals." Her college years were a litany of pain, physical and emotional. She began at Wake Forest, where she lost herself in a culture she felt was fixated on body weight more than split times. Her coach would sometimes tell her to drink hot tea before dinner so she'd fill her stomach and eat less. Instead, she'd go to the cafeteria and wolf down cookies out of spite. "People, when they see her body, they don't understand," says Saina, who at 5-6 and about 100 pounds is more typical for her sport. "I'm not an anomaly," Kieffer insists. "The running culture's idea of how you have to look to be fast is insane." She injured her right foot in her sophomore season at Wake Forest. The day before she was supposed to return to campus for her junior year, her older sister, Meghan, was killed in a car crash. Kieffer redshirted a season, grieving, and the aftershocks affect her to this day. "I think that I've turned," she says. "Instead of living with a loss, I want to live a life that I'm proud of, because we don't necessarily have as much time as we think we do." Needing a fresh start after so much hurt, Kieffer transferred to Arizona State in 2009, then hurt her foot again. By the time she finished collegiate running in 2010, her running career seemed to have gone as far as she could take it. She made peace with that, or at least thought she did, and retired in 2013 at the age of 25. "I literally wrote a retirement blog," she says. "I wrote something along the lines of, 'In a sport where I think most people always want more, I'm happy walking away. I'm proud of what I achieved.'" In 2014, lonely and looking for a way to make new friends, she began to run again. Little by little, she started taking it more seriously, running occasional races for a few hundred bucks in prize money. "I'm not very good at being 75 percent in," she says. "I'm either zero or 100." She crushed Miami, a relatively obscure race but one that made her believe success was possible. Then came New York, which paid her $40,000 for her finish and inspired her move to Iten, where she spent every day practicing as hard as her body would allow. "The difference between why some people can become world class and others can't, most of it comes down to can they handle the training and are they willing to do the training," says elite Colorado coach Brad Hudson, who worked with Kieffer after New York and developed her Kenyan training plan. "Allie is willing to do the training. So we have to make sure she can handle the training." Kieffer's routine in Kenya began as follows: Wake before dawn and ride in a matatu (a ramshackle minibus) to pick up her pacer, Dickson Kipchumba, a 6-foot, 120-pound Kenyan man with watery eyes and no apparent pain threshold. A human metronome for hire, Kipchumba had made a career of pacing fierce female runners, setting a tempo for them to follow at any speed they desire, over any distance. He worked for the Iten-based speed demon Florence Kiplagat, who in 2014 and 2015 set the women's world record in the half-marathon -- only to be eclipsed two years later by another Iten runner, Peres Jepchirchir. Now he worked for Kieffer. The two of them together -- one black and one white, one tall and one short, one male and one female -- made for an odd sight in the countryside. Kipchumba didn't so much run as lope, his limbs long and loose. Kieffer shuffled her feet, seeming to need two strides for every one of his, her weight low to the ground, her hands balled in fists at her waist, her calves hard and carved. They did long runs on a dirt road just outside of town. Maybe 18 miles, maybe 21 miles. Cars and trucks zoomed by, kicking up massive powdered-chocolate dust clouds. By the end of a workout, she had the dust all over her skin and in her teeth. She ran 115 miles a week. Most days she ran twice. Between her morning and afternoon workouts, she'd go home, eat like a Kenyan (ginger soup, goat meat, yellow lentils over rice) and post about body positivity on her Instagram account, which had blown up since the marathon in New York. "I'm trying to use that to motivate other people," she says. "They don't have to look so emaciated to be good at running." The women's apparel company Oiselle took notice and began sponsoring her in January. "Distance running kind of goes through waves where women try to unnaturally control the shape of their body in order to make themselves run faster," says Dr. Sarah Lesko, who manages Oiselle's elite athletes. "You can never have enough examples of people who maybe don't look like the stereotypical Olympic marathon runner. Having someone out there who's just willing to talk about it is very refreshing." One day in Iten, Kieffer had herself photographed from two different angles -- one at a side angle with washboard abs, and the other head-on so her stomach appeared to roll -- while wearing a sports bra and shorts. "After scrolling through the beautiful bodies on IG I'm less satisfied with my own," she wrote. "It's easy to see perfection and feel defeated, like I could never look like that. But social media can be deceiving." Kenya had challenged her to do something almost as hard as running itself: detach how she looked from how she felt and prioritize the stopwatch over the scale. Between road sessions, Kieffer and Kipchumba drove an hour to the city of Eldoret to use the track at a local college. It had no lanes and its starting line was a bent stick, but it measured 400 meters around and that's all that mattered. They ran grueling repeats: 2,000 meters followed by a three-minute rest followed by 1,000 meters. Five times. 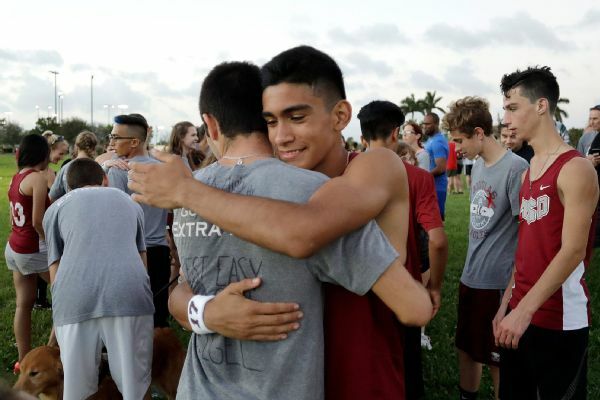 In early March, on their last morning at the track before Kieffer returned to the States, they ran their first 2,000 meters in 6:50 and their second at 6:48. "So sweet. I enjoyed it," Kipchumba said. "I'm glad you enjoyed it," Kieffer deadpanned. Their third 2K came in at 6:39, another negative split. "She is not complaining even though it's fast," Kipchumba told me. "That means she's in good shape." Their fourth and fifth installments were 6:47 and 6:42. By the end, Kieffer was doubled over and gasping. "That was by far the best workout," she said between heaves. "I don't want to leave." This was why she had come. She had wanted to gain control of her body and stretch it to its limits; tame it, bend it to her will and push it so deep into the realm of suffering that she became comfortable in the discomfort. Ever since she started running, she had felt as if her body had been on loan to the world and the world had treated it unkindly, scrutinizing it and manipulating it, belittling its shape and breaking its bones. Now she was taking ownership. Kieffer had been in Iten for seven weeks and taken a grand total of two days off. She had trained with the single-minded focus of a Kenyan, and the Kenyans knew it. In the matatu on the way to a post-workout breakfast, Kipchumba -- whose first language is Swahili -- leaned forward to Kieffer from the last row of seats and said, in English, "I will miss you." Many runners are afraid to bulk up. Kieffer believes that lifting adds strength -- and strength adds speed. She went back to her apartment and packed for Buffalo. She had her spring all planned. She would race the 13.1-mile NYC Half Marathon in mid-March and the full London Marathon in April, a twosome that would give her a clear sense of where she stood heading toward the 2018 New York City Marathon on Nov. 4. Just before her flight home, as she was knocking out what was planned to be a quick 14-miler, she felt a pain in her right foot. She figured it was probably nothing -- she'd hurt like that before simply from tying her shoes too tight -- but she noticed it didn't go away even after the run. She took a short Jambojet regional flight from Eldoret to the Kenyan capital of Nairobi. By the time the plane landed in Nairobi, she was limping across the tarmac. 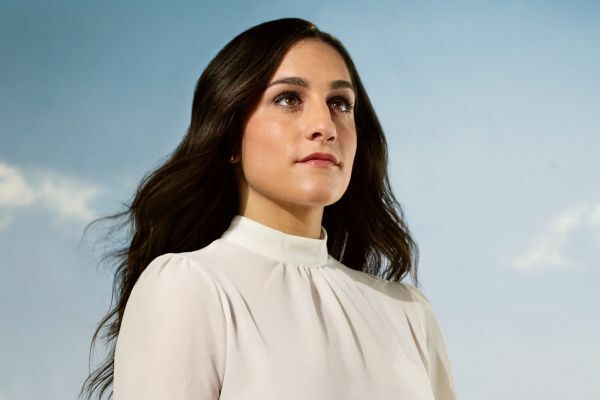 Kieffer spent the day of the NYC Half Marathon on the sideline with her right foot strapped into a medical boot, an MRI having revealed a stress fracture in her second metatarsal, the same place in the same foot that she repeatedly injured in college. London would be impossible too. She couldn't run at all for seven weeks -- the same amount of time she'd just spent in Kenya working herself into the best shape of her life. She swam and cross-trained, rode the elliptical and bicycle, but it wasn't the same. Runners need to run just as pitchers need to throw. She passed her days watching Netflix, gaining weight and feeling depressed that her body had let her down yet again. By this point, though, she had a reputation to uphold as a voice of body positivity. She couldn't just go online and complain. She had to stay on message. Wearing a bikini, she posted another set of side-by-side photos of herself on Instagram: one with a thicker midriff and one thinner, an illusion created simply by hiking up her bikini bottoms. "Me," read the caption on the skinny picture. "Still me," read the other. She received biomechanical training and physical therapy for her foot at the Oiselle headquarters in Bend, Oregon, and in April returned to running a few miles at a time. She felt grateful for those miles but also frustrated that she'd lost so much fitness, saying, "I'm nowhere near where I was in Kenya." It became clear that she wouldn't have a chance to race 26.2 miles before the fall. 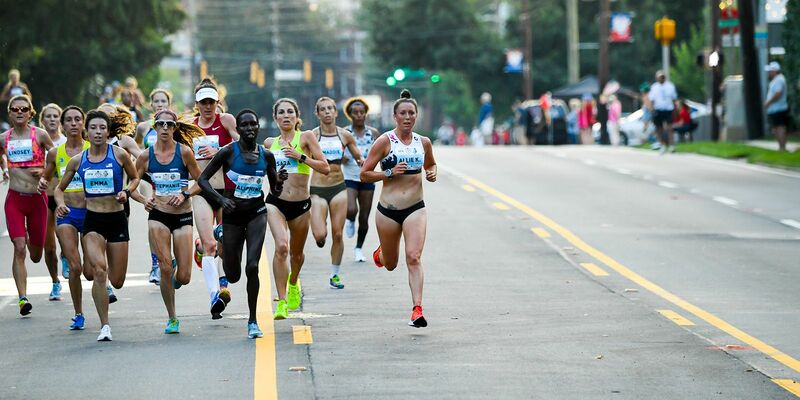 As a stopgap measure, to get at least one big race on a national stage, she entered the 49th annual Peachtree Road Race, a July 4 event in Atlanta that served as the de facto 10K national championship. It wasn't a marathon, but it was something. The day before the race, organizers held a news conference at a genteel Atlanta restaurant to announce their racers of note. The rapper Jeezy, for instance, would be running this year's Peachtree. He came up and said a few words about losing 60 pounds while training to the sweet sounds of Billy Ocean. Five elite women -- described by a race organizer as "one of the best American women's fields in the history of the Peachtree Road Race" -- were then invited onto the dais to answer questions and have their pictures taken. Kieffer was not one of them. She remained in the audience while her rivals spoke. Yes, she had been recently injured, but it was hard for her not to think she'd been snubbed for other reasons too. Was it because she didn't look the part, or have the name recognition or history of success? Did they not take her seriously? As the favorites spoke, she sat in a chair and stared straight ahead with her hands clasped in her lap. The next morning, Kieffer woke up for the race at 4:10, ate a bagel with peanut butter and went outside to warm up, which was not difficult in the Georgia summer swelter. Kieffer trained hard this summer to cement her place as a national elite. When the starting gun sounded at 6:50 a.m., with the sun barely above the horizon, the air was already swampy. A pack of 30 or so women ran shoulder to shoulder for the first few steps, and quickly the elites began to separate themselves. By the time they hit the first mile marker, about half the pack had dropped back -- and half again at the second mile -- after a blistering five-minutes-flat pace heading into mile 3. Kieffer stayed with the leaders through the third mile marker, passing Gwen Jorgensen, who had won gold in the Rio Olympics as an American triathlete, and stayed within 31 seconds of the top three finishers -- two-time All-American runner Stephanie Bruce, Kenyan-born Aliphine Tuliamuk and former U.S. cross-country champion Sara Hall -- all the way to the end, where she promptly collapsed onto the asphalt and lay flat on her back in the heat, her face flushed crimson. She'd finished fifth in New York, and now she was fourth in Atlanta. Fifteen days later, Kieffer announced she would return to New York for the 2018 marathon. And around this time she began to face a public backlash. "Not buying it. Nobody runs that time at that weight without EPO or blood doping," wrote one anonymous user on the popular LetsRun message board, as part of a thread titled "Allie Kieffer clean?" Another was even more pointed: "There's no way she should be able to run the times she has run with the body type that she has." Perhaps it was inevitable. She had come out of nowhere in 2017 to crash the party, and then she'd decided to stay. Who did she think she was? "People think doping," Kieffer had told me in Iten. "Especially now that I'm here in Kenya, I'm sure they really think doping." She has never failed a drug test. New York City Marathon race director Peter Ciaccia has insisted she didn't cheat at his race. "No, no, no," he said in an interview for this story. "That's not the case." But fifth place in New York followed by fourth place in Atlanta means, injuries or not, Kieffer has lost her status as charming underdog; she is now a legitimate and persistent threat to established runners who have spent years jockeying for position at the front of the pack. And the attacks have revolved around her body. Everyone knows she has struggled with it. Everyone knows that if you want to get in Allie Kieffer's head, you go straight for her body. 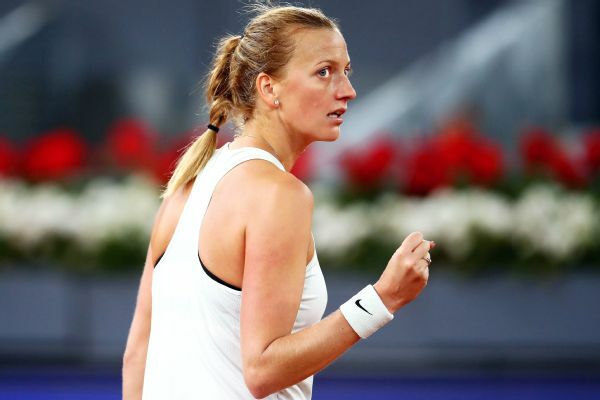 Everyone knows that an athlete in her 30s, who looks nothing like anyone at her level, can't break out of obscurity to challenge the best in the sport. Except this one has. In a cruel irony, the crowning achievement of her life has made her struggles with body image more intense. Before New York, she says, "No one was really looking at me, so no one really cared what I looked like. And then once I crossed the finished line in fifth, it was like: 'Why is that girl bigger?'" In August, Kieffer acknowledged the skepticism head-on and read the LetsRun comments aloud in a series of Instagram videos. One by one, she ticked them off. Then she addressed the camera directly. "Unfortunately, I'm the type of person who actually cares what people on these message boards write about them," she said. "The words that I'm too old and I'm too big and I'm doping? Those hurt." She was seething with anger now. She knew she couldn't stop the chatter at this point in the year. But in November, New York would come back around again. New York would be her answer. She would speak through her body. From now on, she would control the message. "I'm going to use your words as ammunition -- to prove you wrong," she said into the camera. "Because I'm not too old. And I'm not too big. And I'm not doping. I'm here to stay." A longtime runner and writer now based in California, Nick Marino has covered fashion for GQ, fitness for Men's Health, and food for The New York Times. This is his first story for ESPN.